Interested in a getting away for a great weekend of training on an Ironman Course or great place to train? Our training camps are an excellent, economical way to get some excellent training in as you prepare for your upcoming races. Most of our training camps on Ironman courses, but are also offered in some beautiful areas in North America. While the majority of our participants are preparing for that particular Ironman, many athletes come to train for other events to just as a fun training weekend.Below are some videos from some previous PTC training camps. 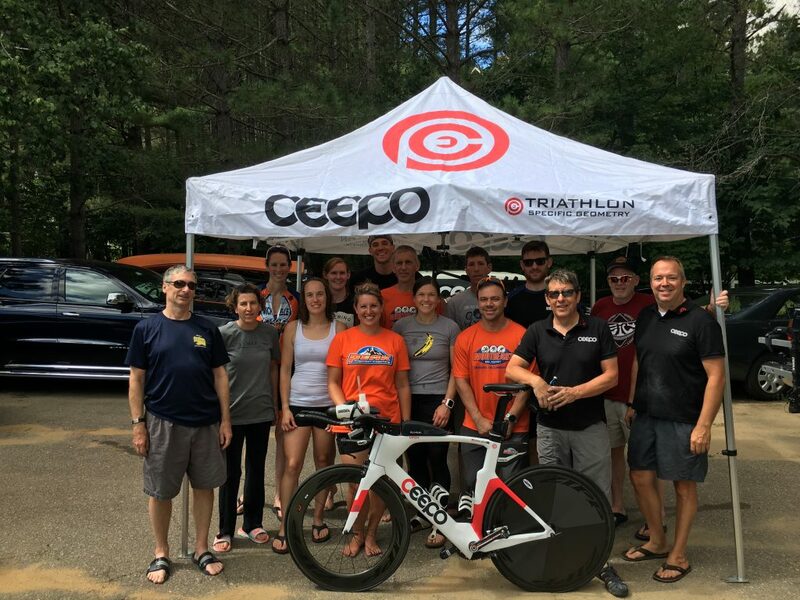 Testimonial from Peak Triathlon Coaching client, Lori V.
“I attended the PTC Mont Tremblant training camp two years in a row in preparation for my first 70.3 (Timberman 2016) and my first 140.6 (IMMT 2016). For both races the training camp was the highlight of my preparation. Peak weeks are hard, but camp allows you to go at your hardest workouts in good company. It’s a chance to bond with other athletes, learn from their experiences, and build your confidence in a supportive environment. You can get input from coaches and familiarize yourself with the venue. Even if you’re not racing that specific course, camp provides a rigorous weekend of training with likeminded athletes. You can focus on your training while still having fun. And not to mention, it is cost effective. There’s no way I could have organized such a weekend on my own. I would recommend camp every time!” -Lori V.
Click here for FAQ and more information.